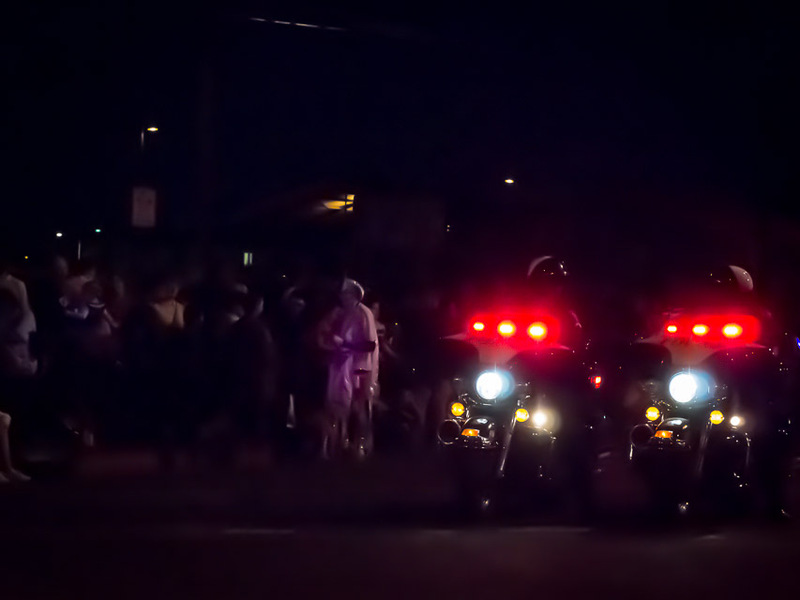 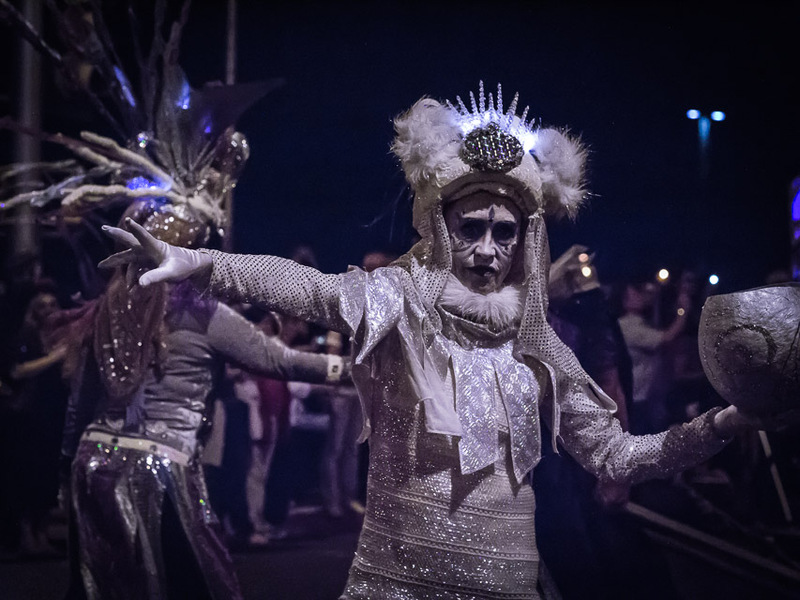 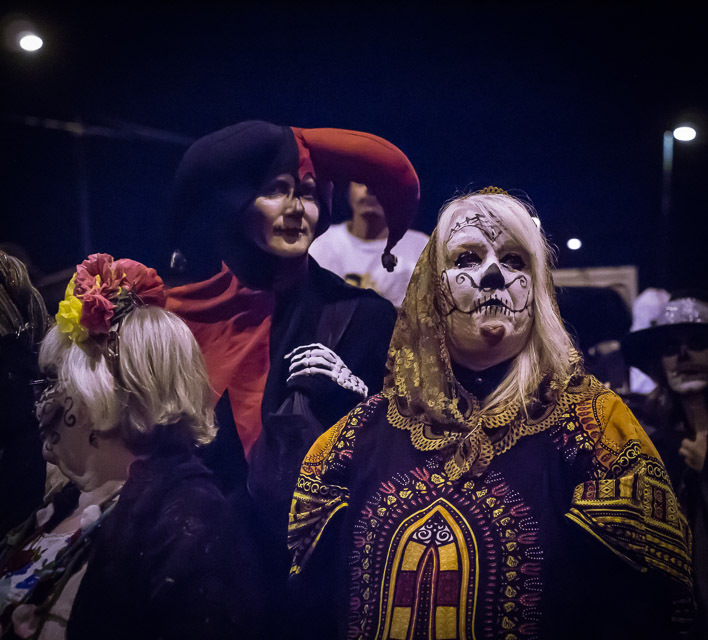 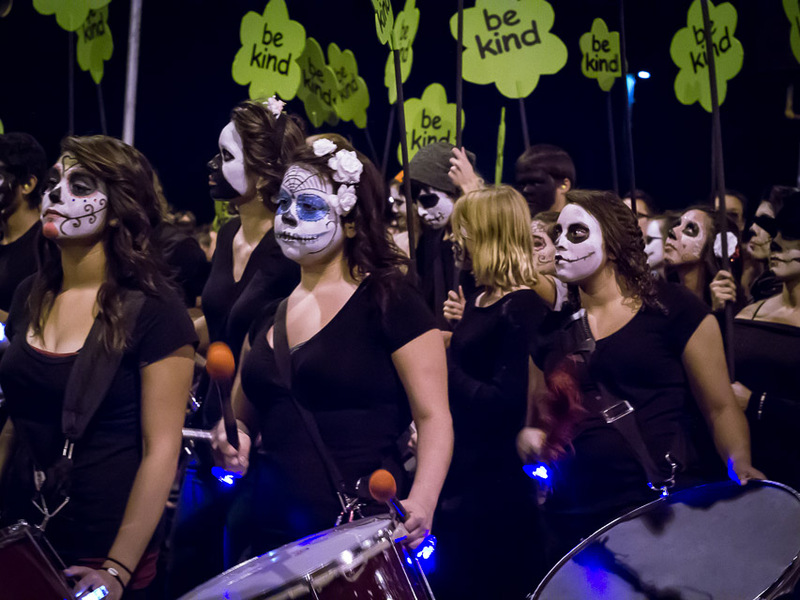 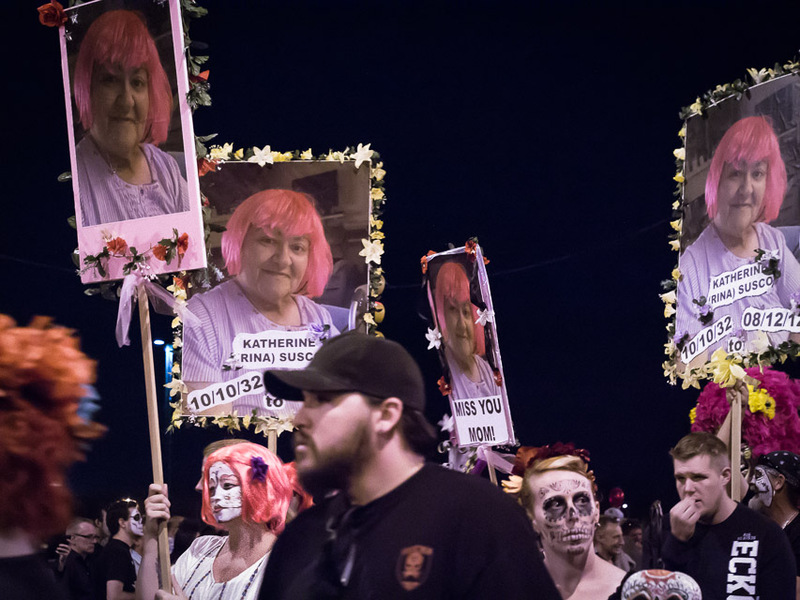 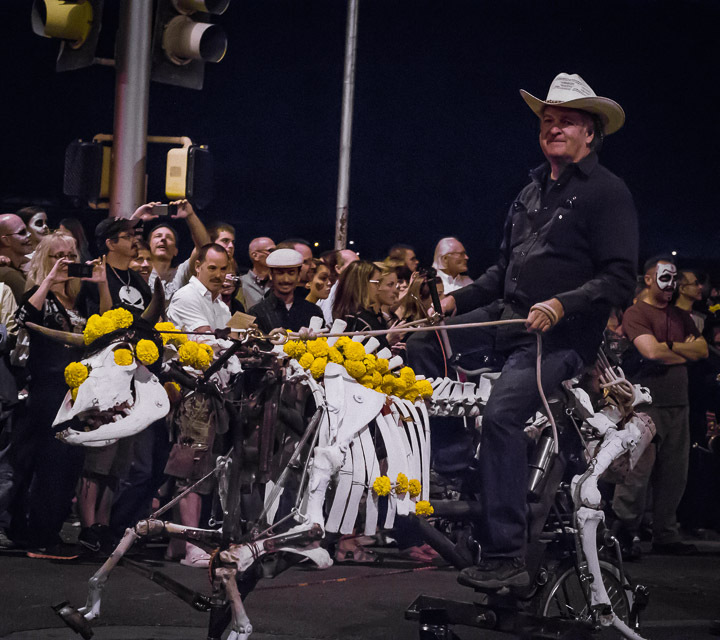 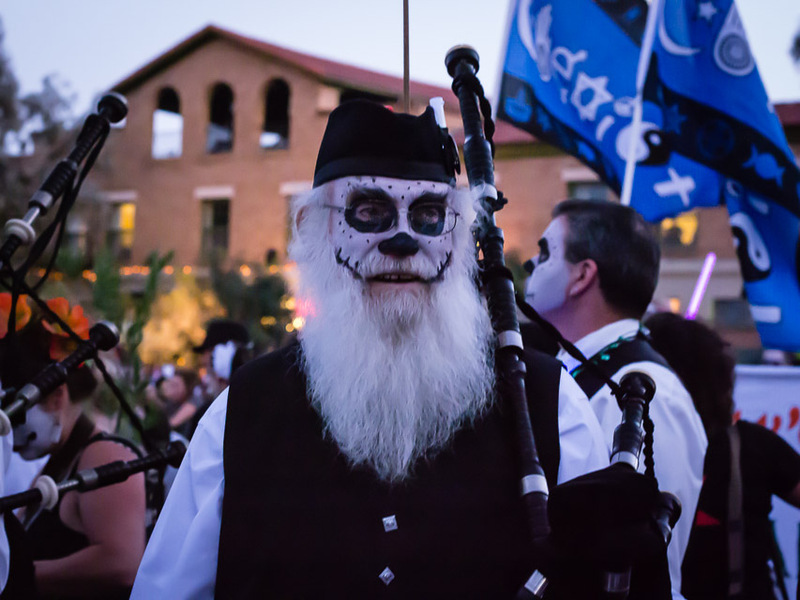 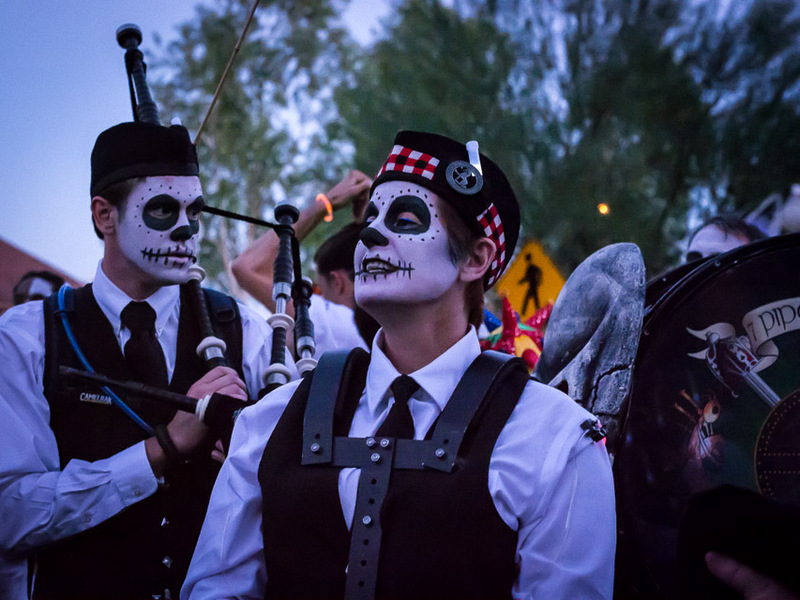 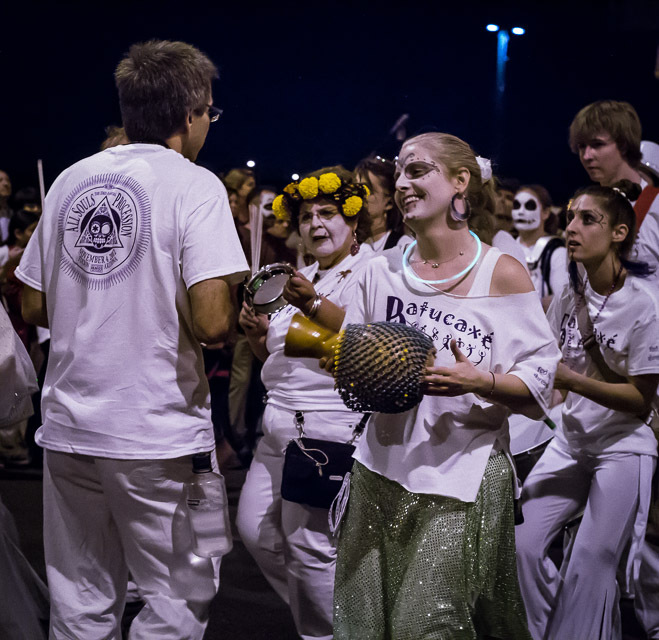 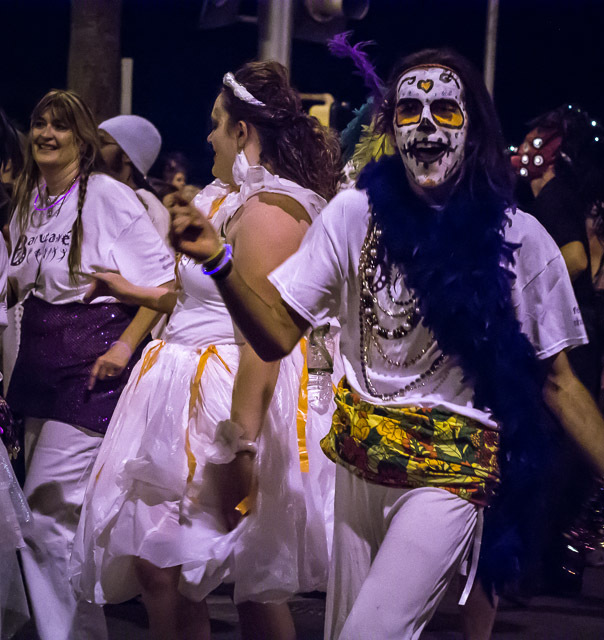 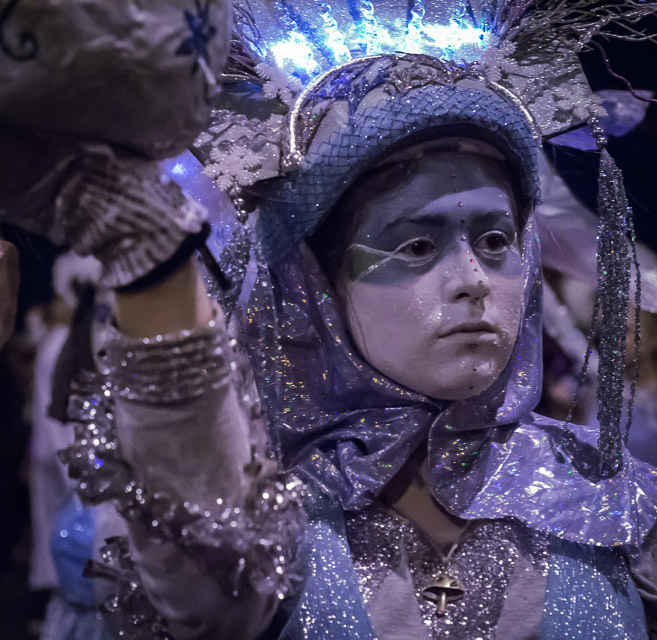 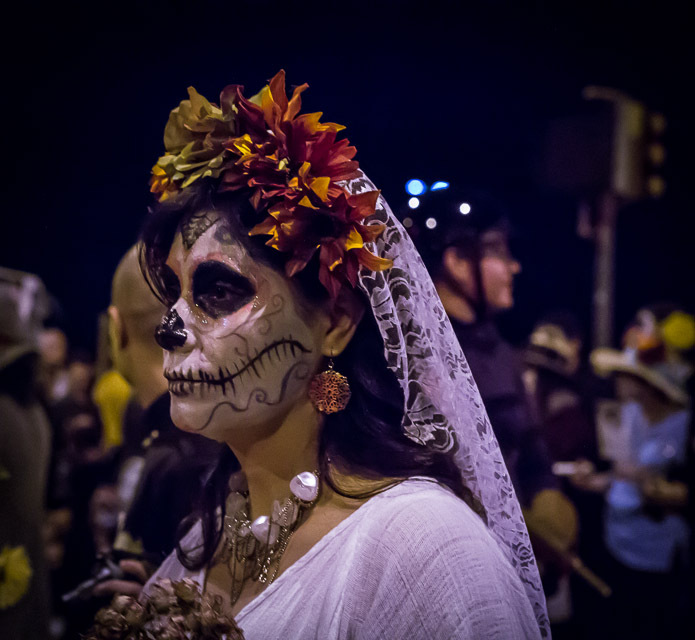 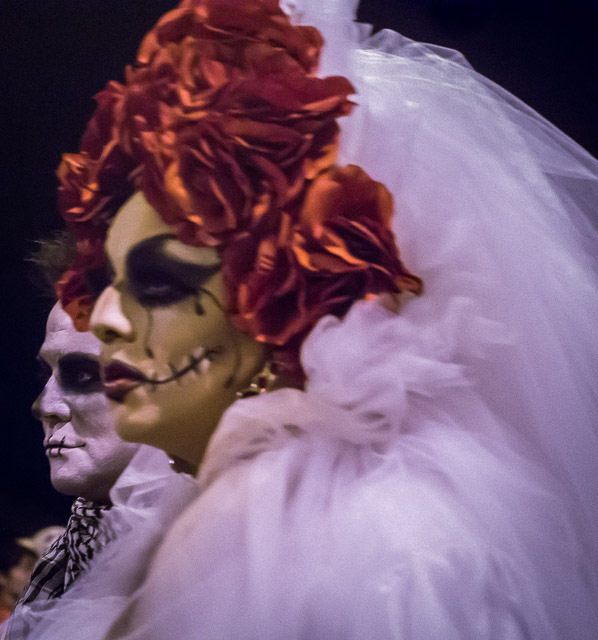 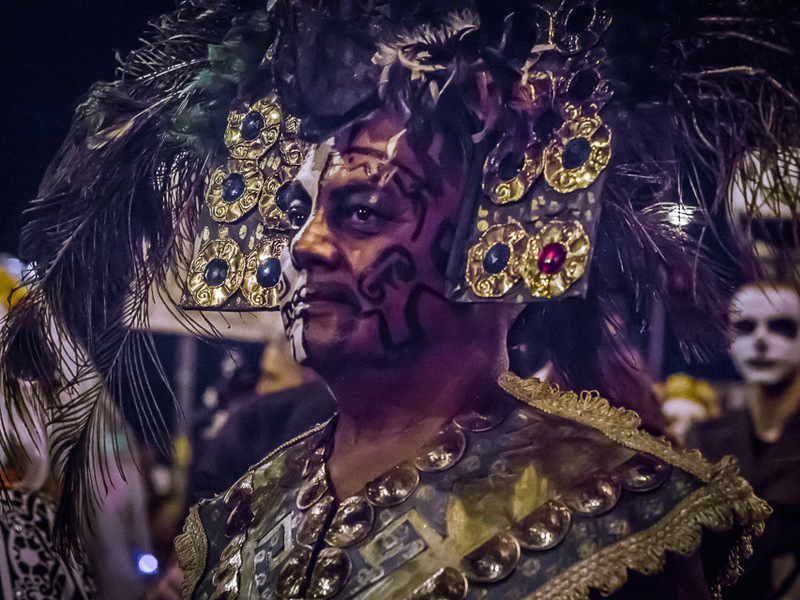 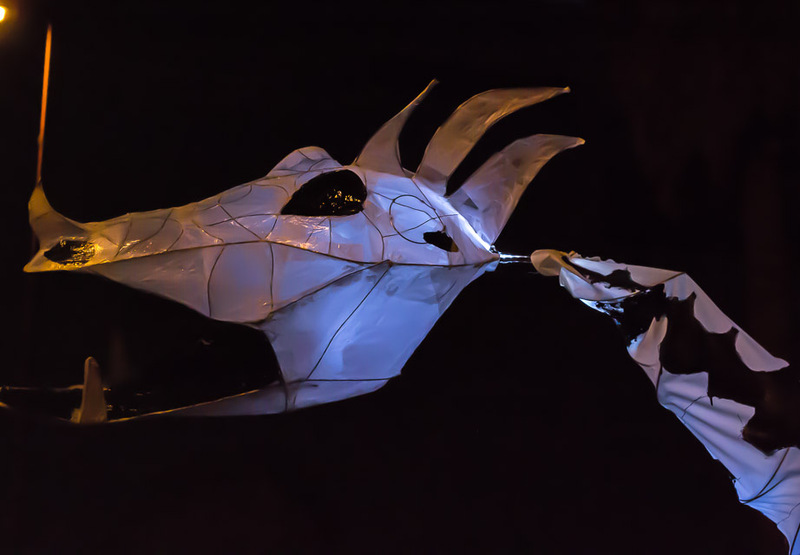 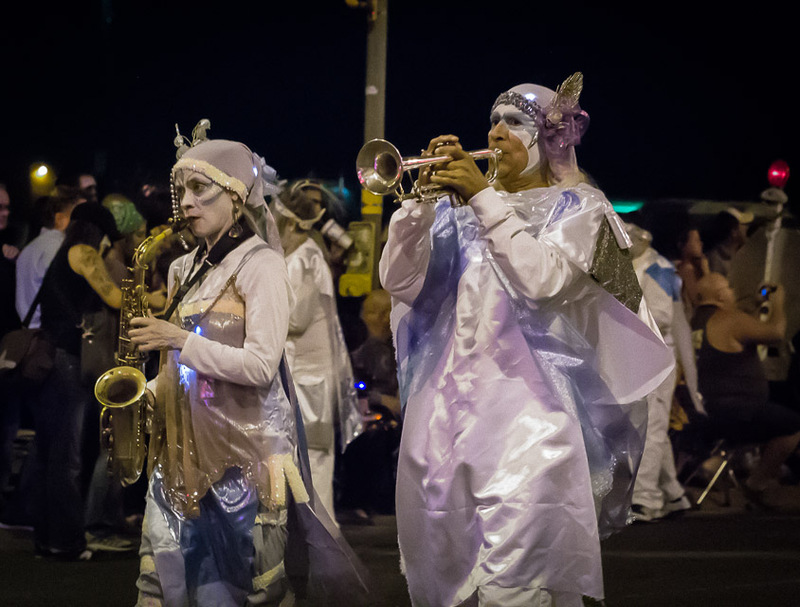 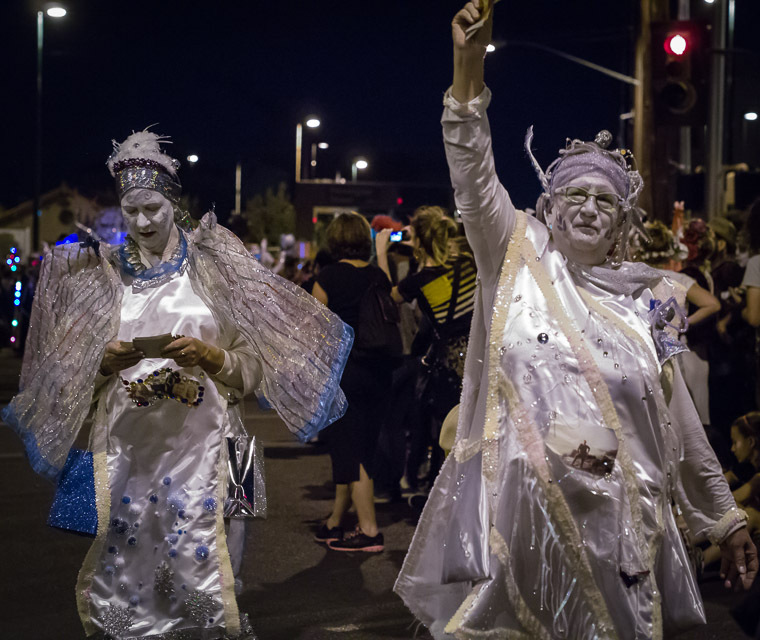 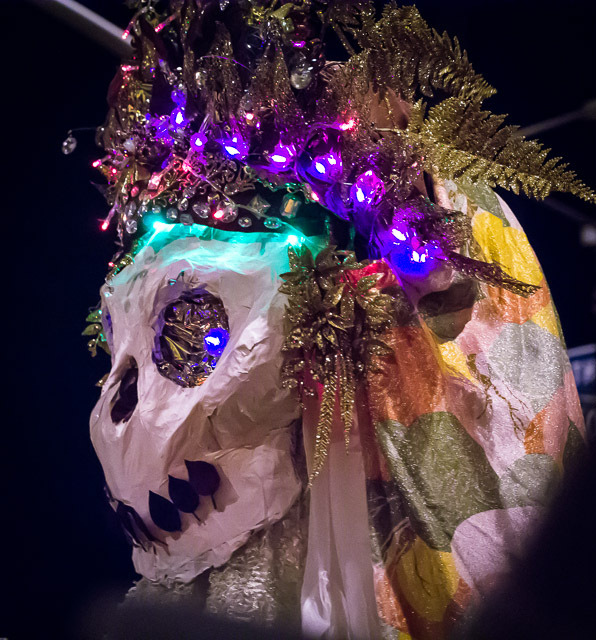 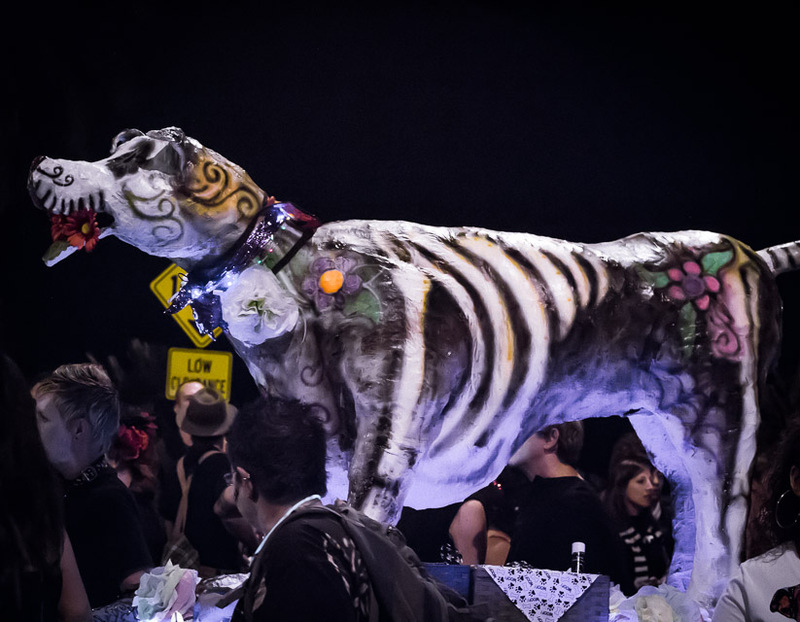 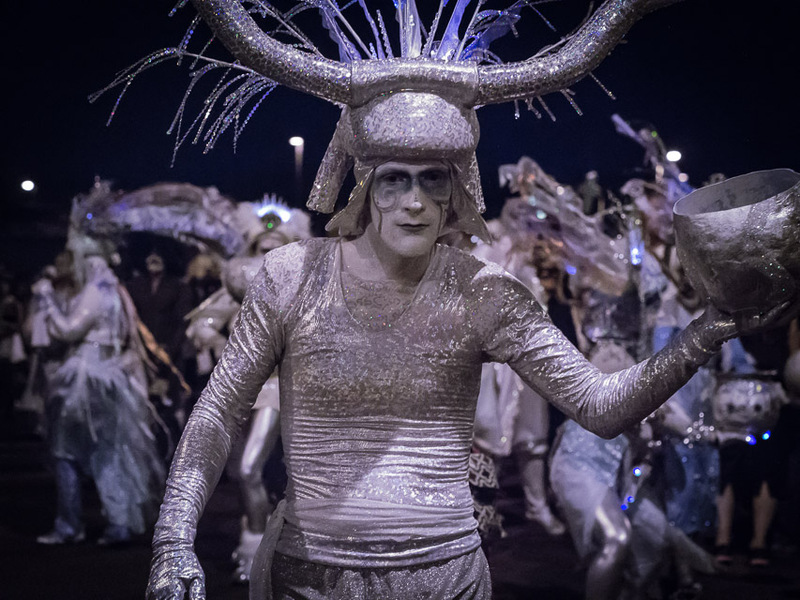 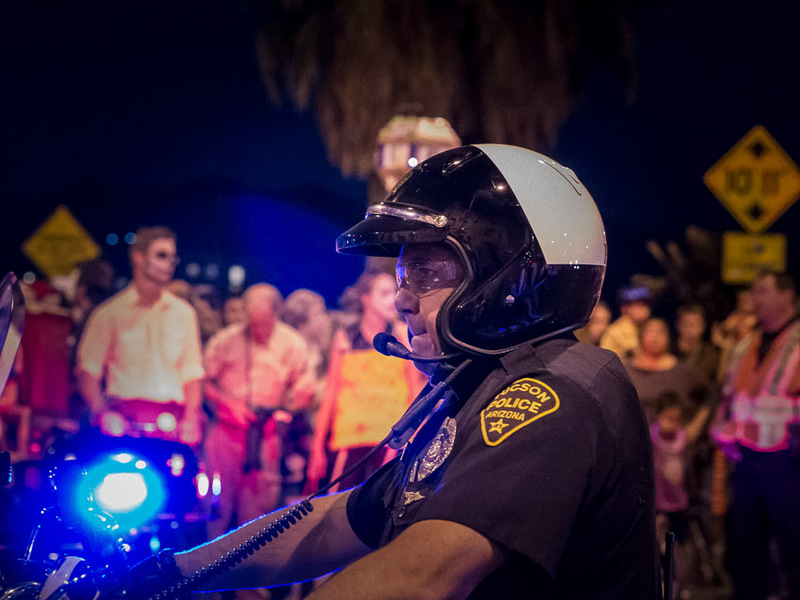 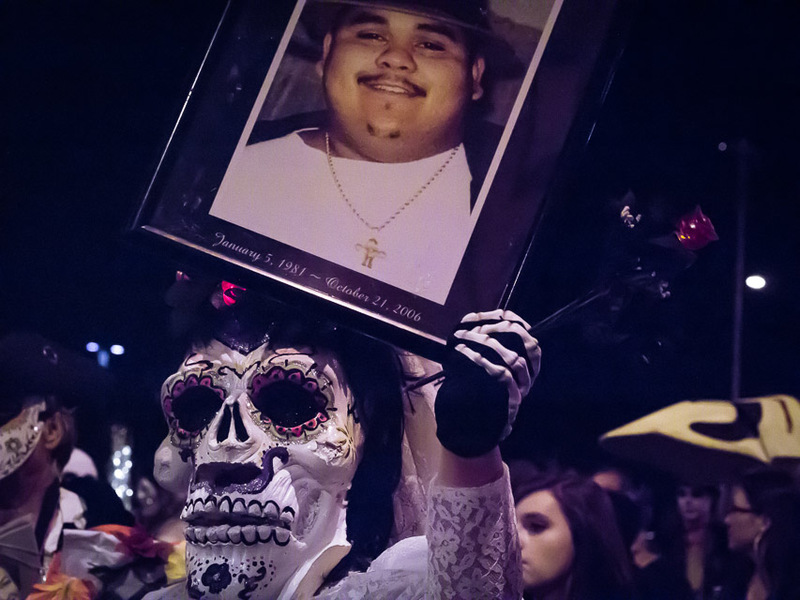 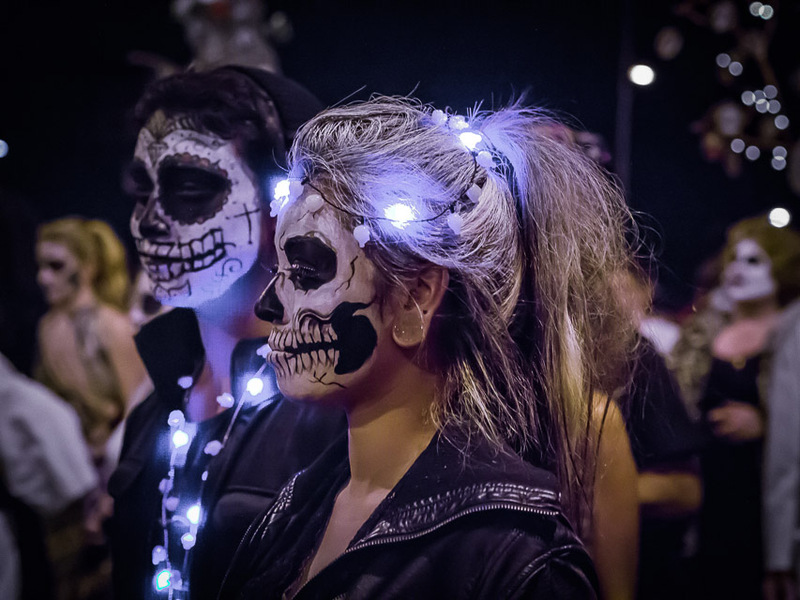 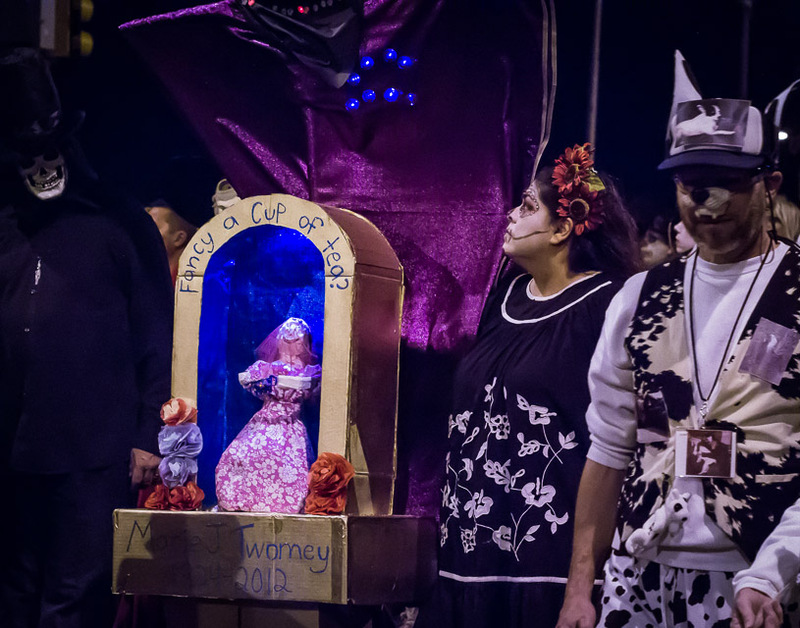 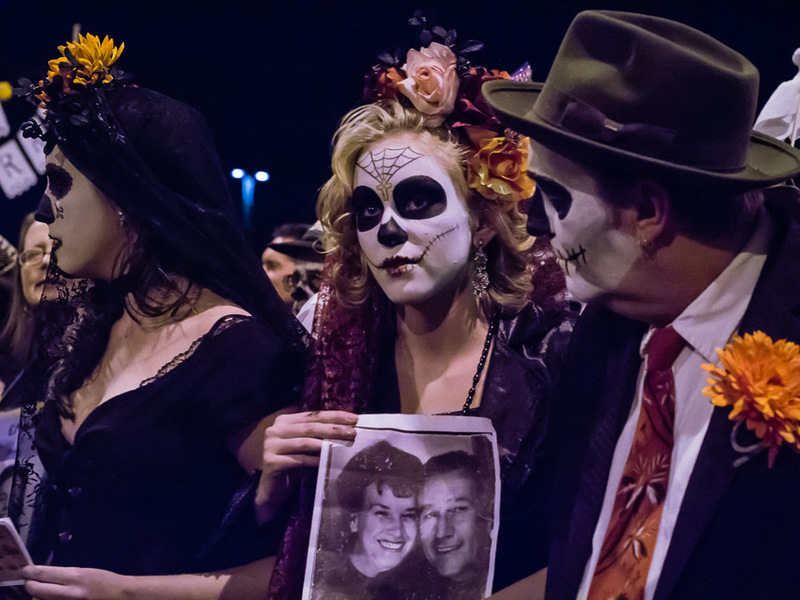 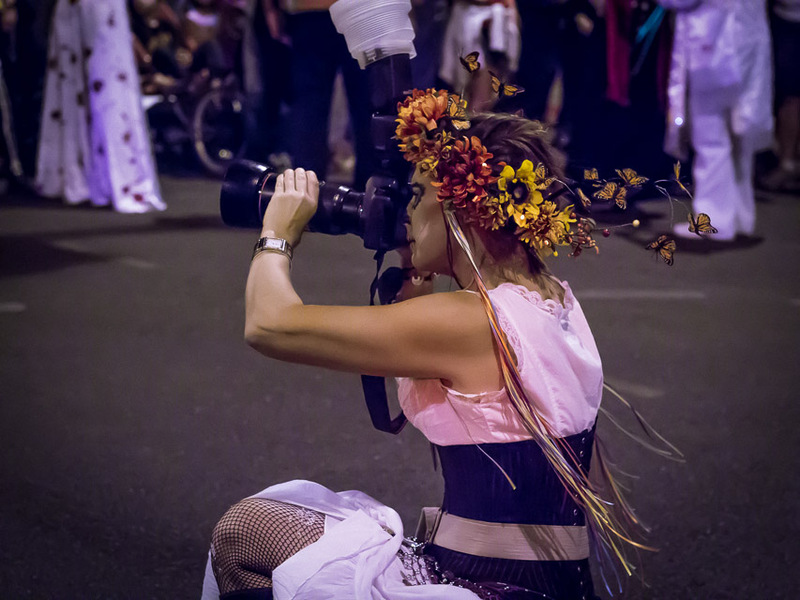 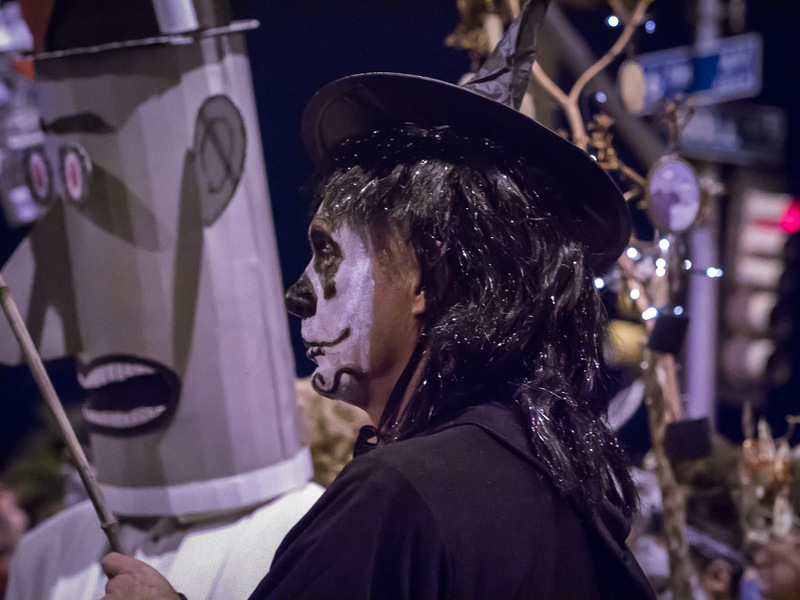 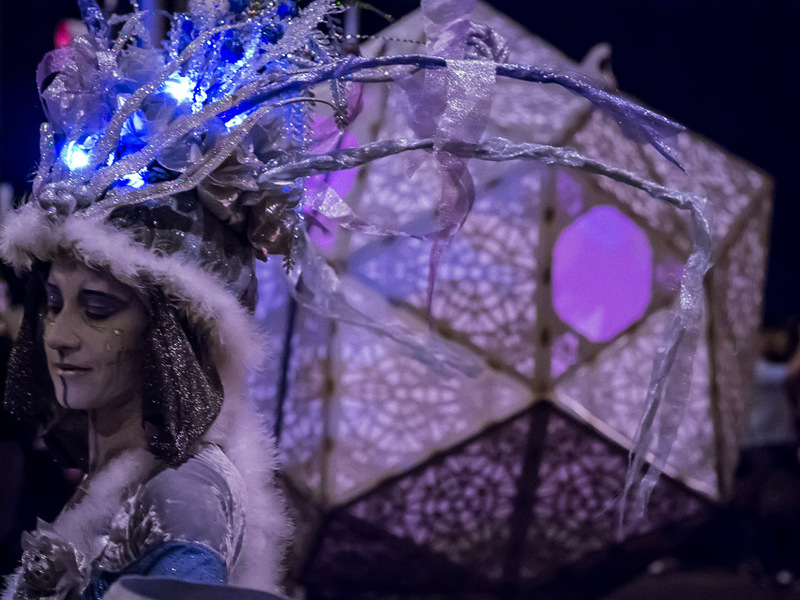 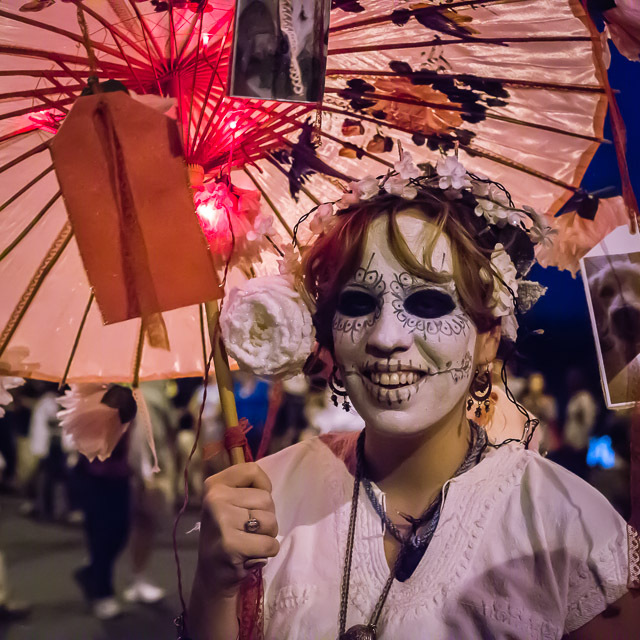 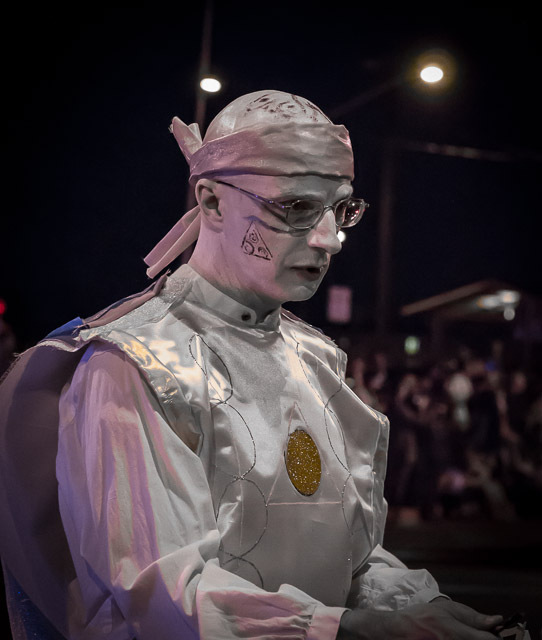 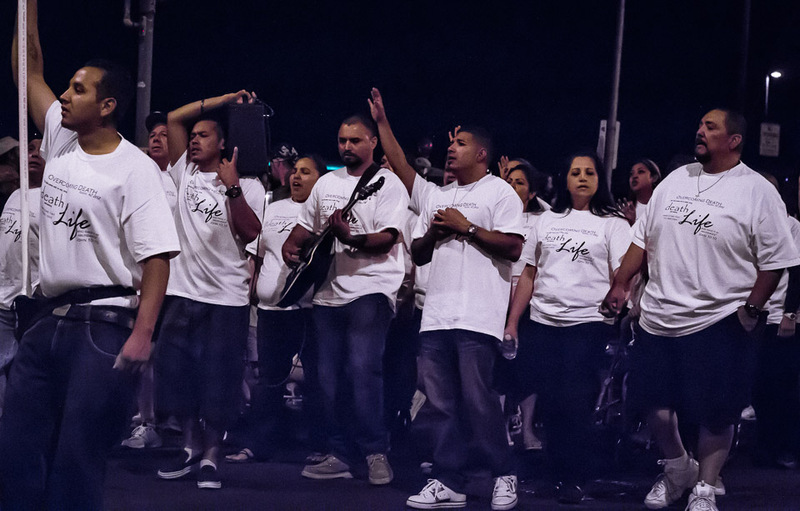 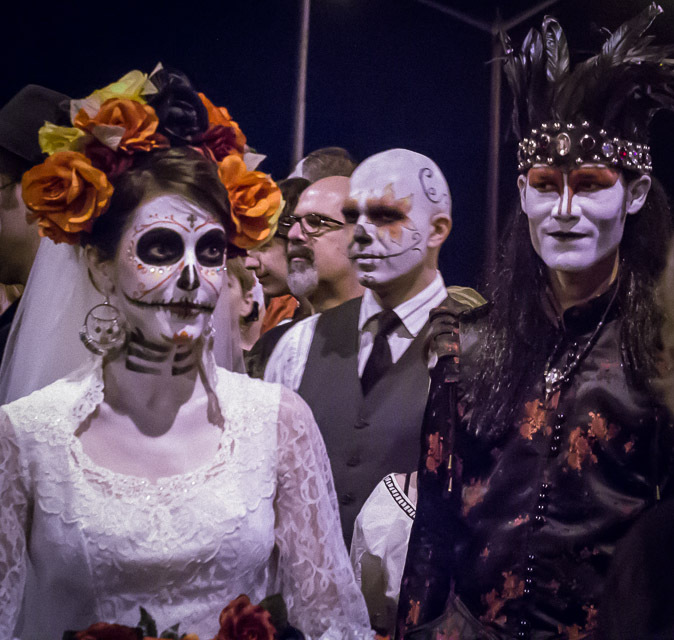 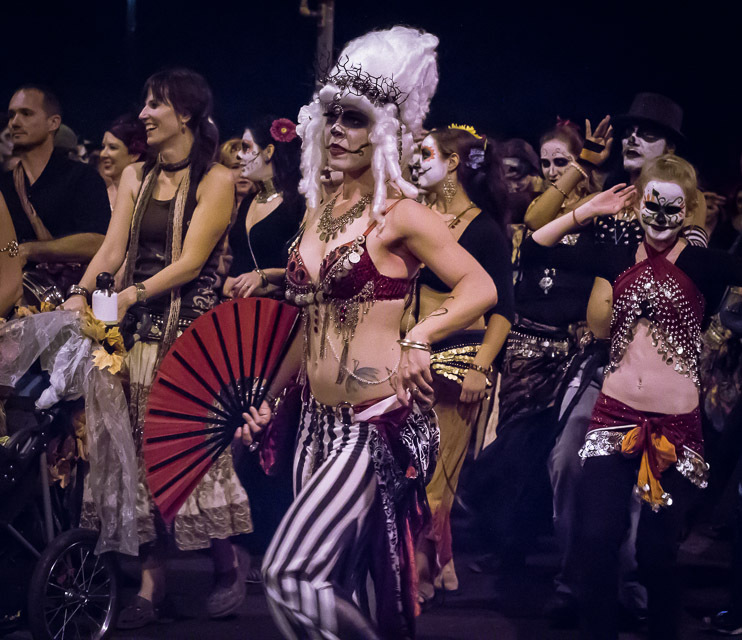 The All Souls Procession takes place annually in Tucson. 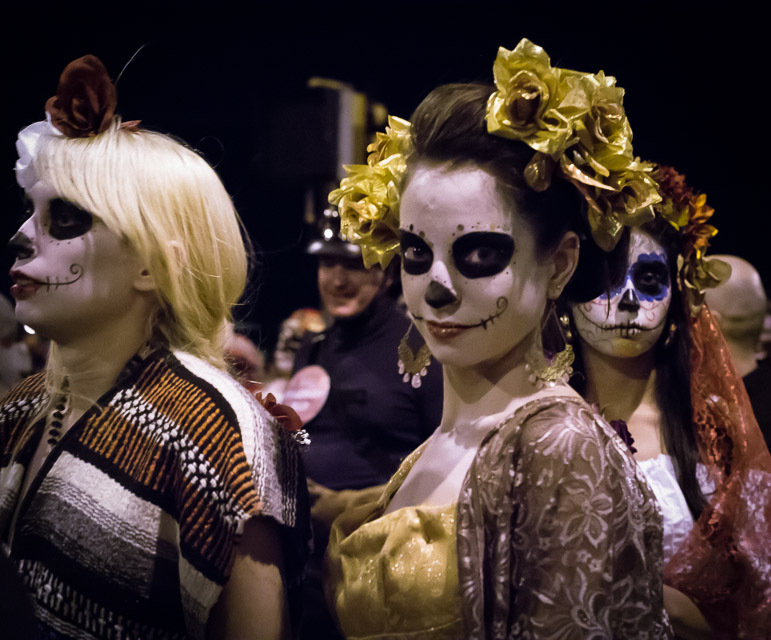 It derives from the Day of the Dead celebrated in Mexico, but it seems closer to Carnival. 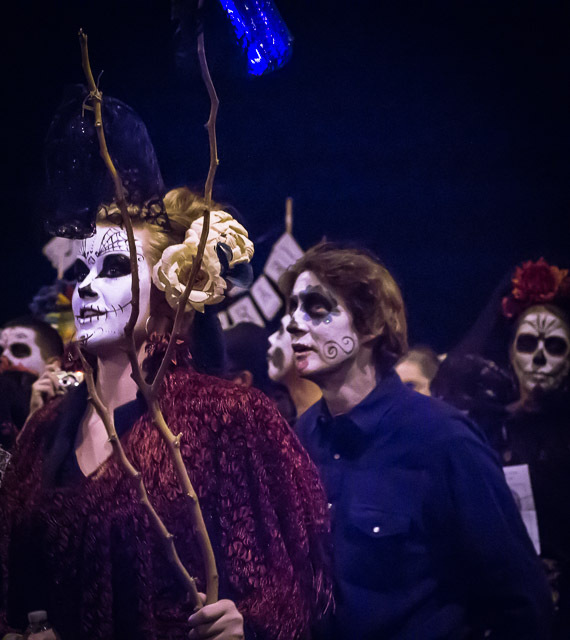 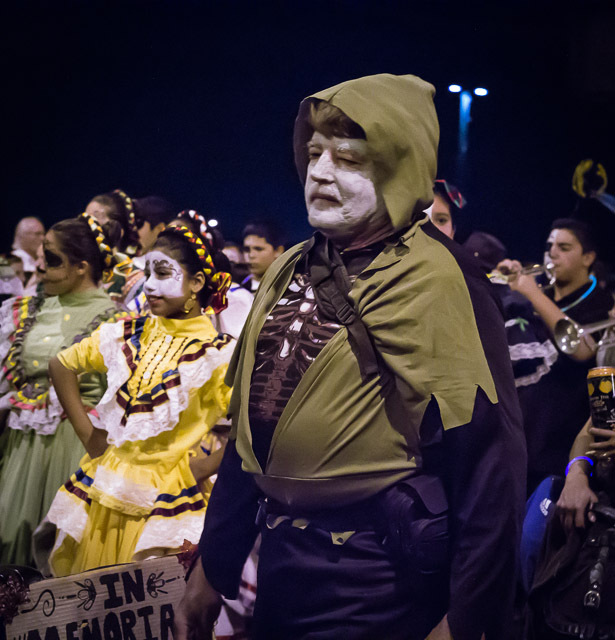 In the traditon of Day of the Dead many participants march in remembrance of a deceased friend or relative. 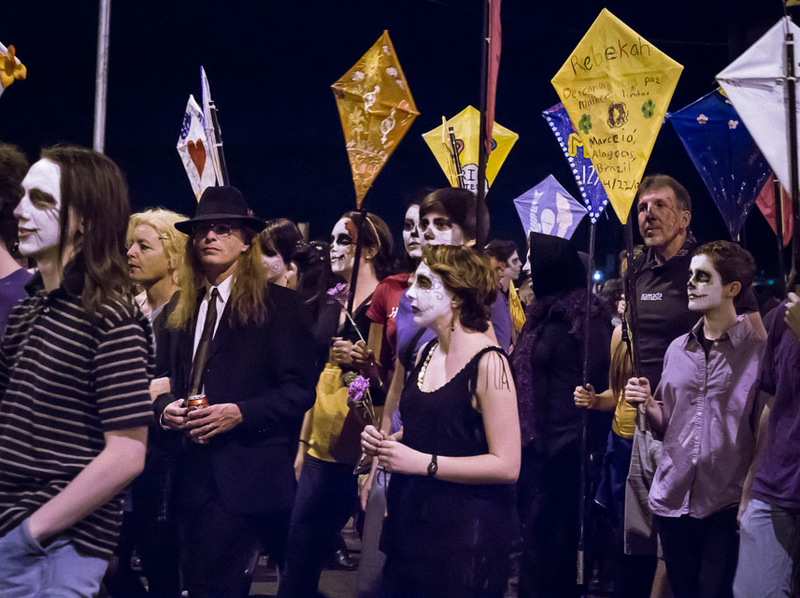 Some organized groups march, but it is mostly individuals in costumes ranging from simple to elaborate. 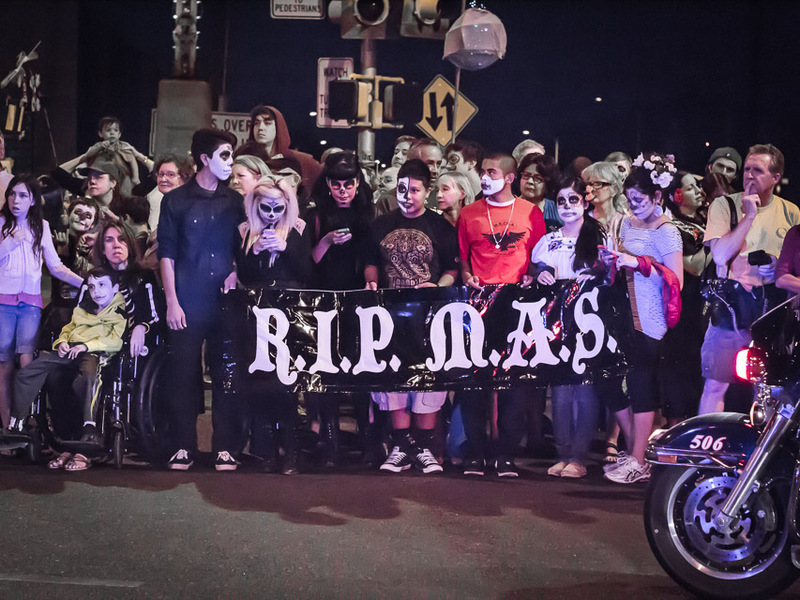 Everyone is invited to write a prayer or remembrance of someone who has died. 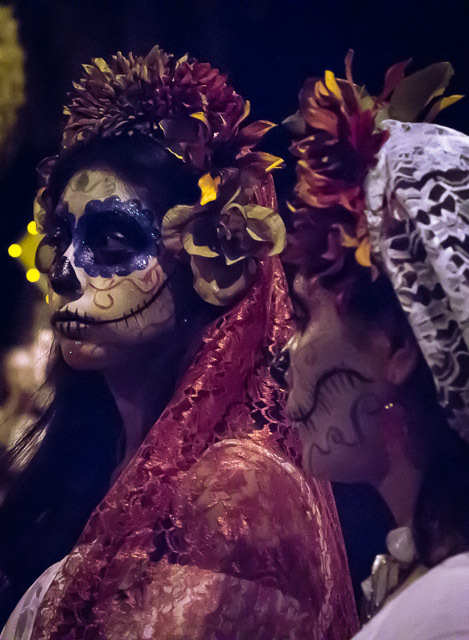 These are placed in a large urn which is burned at the end of the parade in an elaborate spectacle. 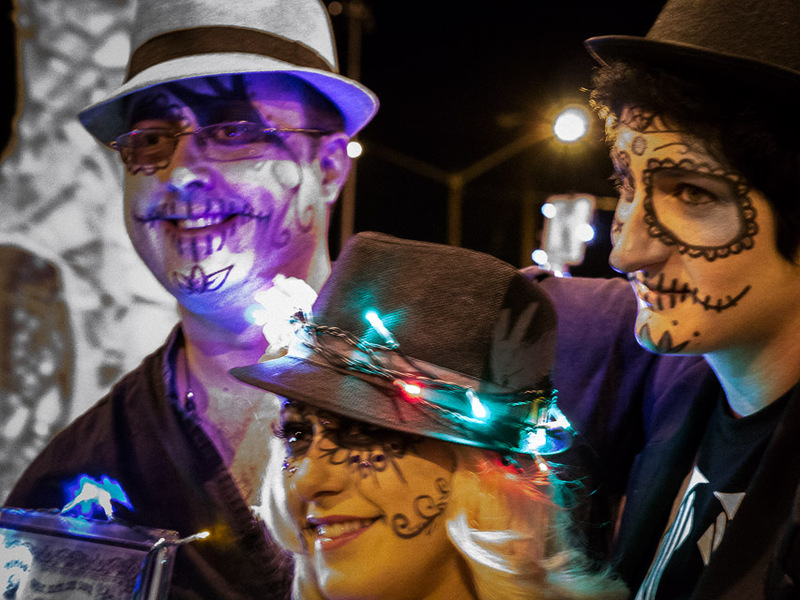 A few of these pictures were shot in twilight, but most were taken after dark using only available street lighting. 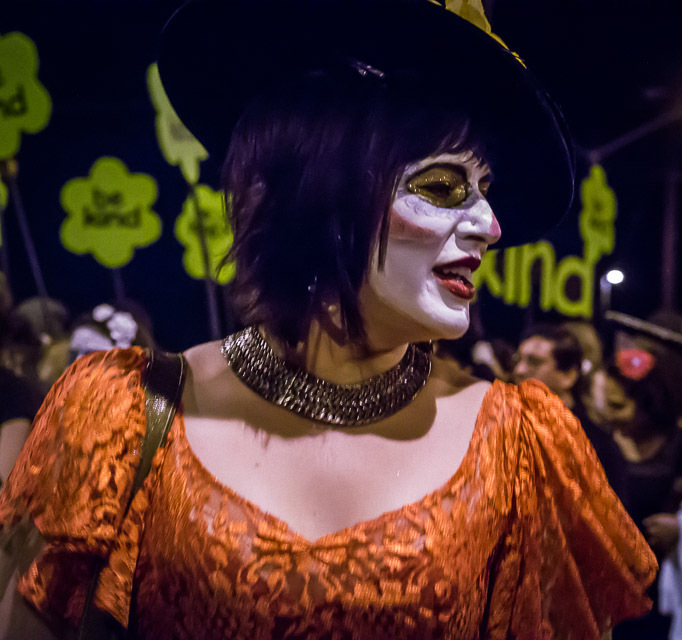 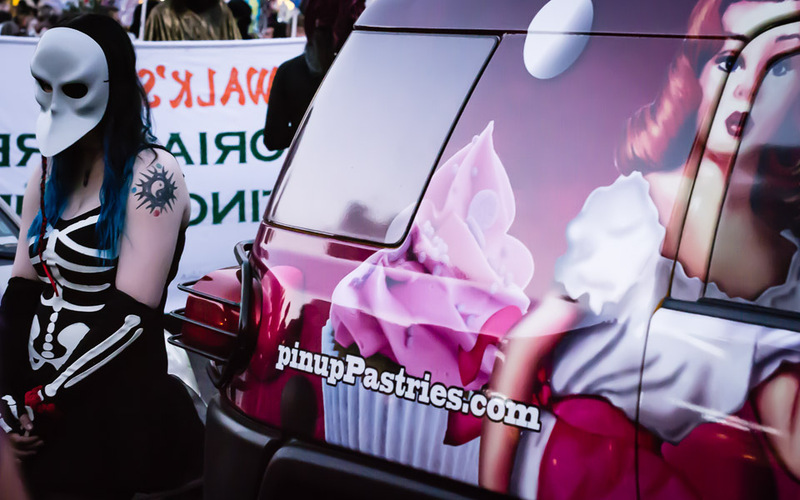 I used my Panasonic GH2 with the Olympus f1.7 45mm lens (90mm equivalent). 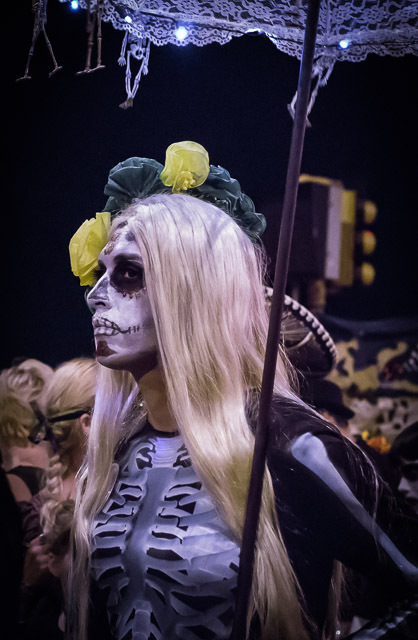 I had to shoot at fairly wide apertures with a slow shutter and high ISO. 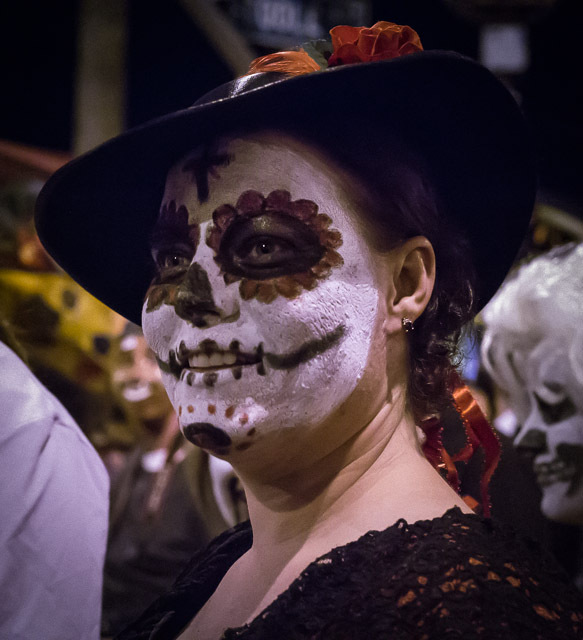 Given these conditions, I would have been better served by a lens with image stabilization, but I wanted to try this lens and was pleased with its performance. 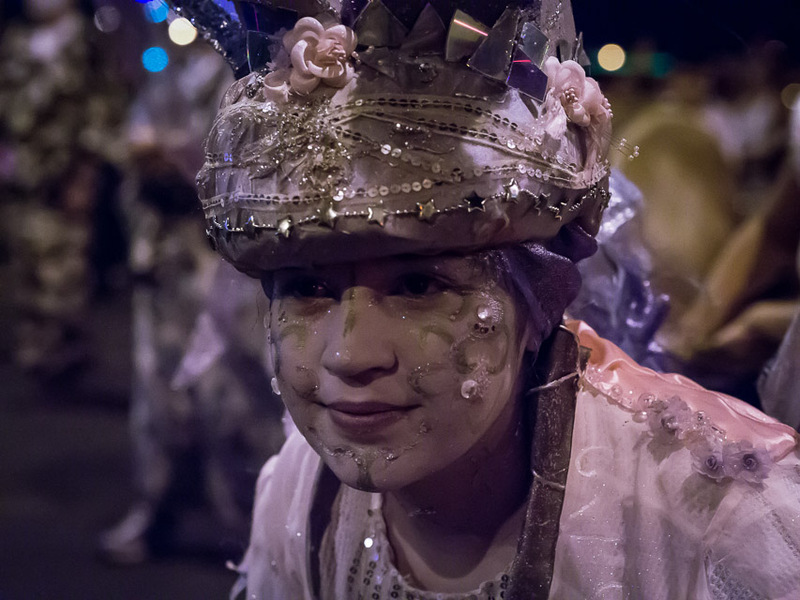 I did get many blurry shots which I had to reject, and I missed focus very often. 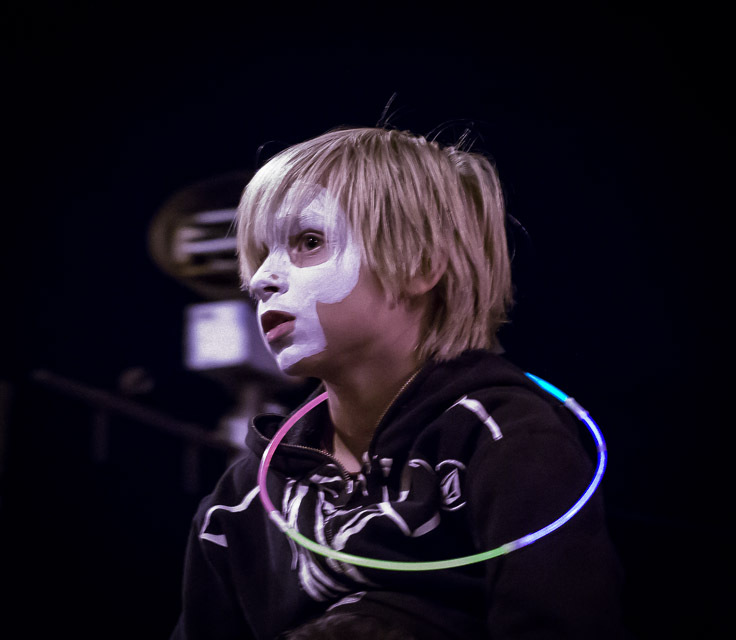 This was probably a combination of the low light and my lack of skill. 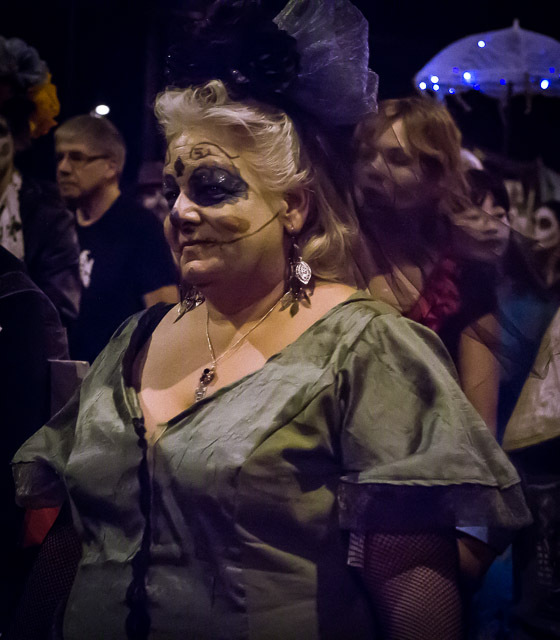 Although I shot at ISO 6400, I was pleased with the effectiveness of the noise reduction provided by Adobe Lightroom. 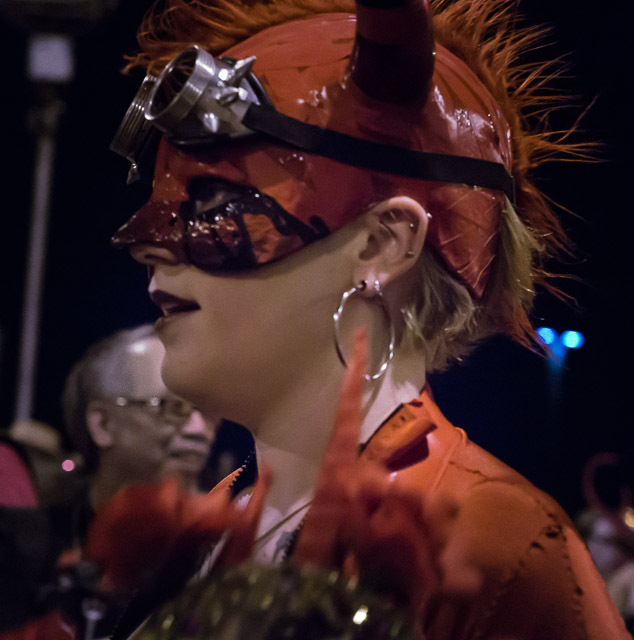 And although I had the camera set on auto white balance, the pictures were much too yellow because of the street lighting, and I had to adjust the balance in Lightroom to achieve a more natural looking and pleasing color balance.